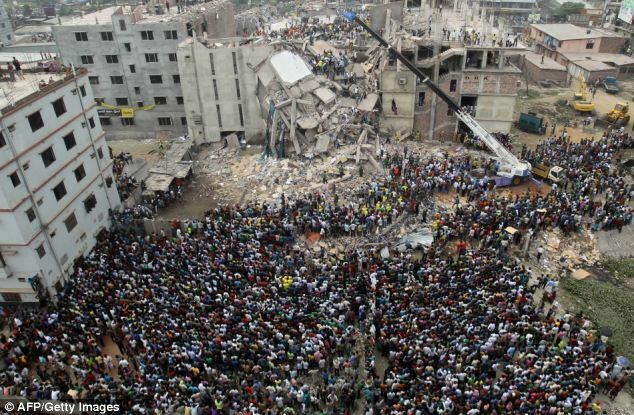 I doubt very much that anyone at Primark, Matalan or Mango has acted illegally in relation to the collapse of the factory in Bangladesh, where they all have clothing manfactured. In fact I know some people who work for those brands who are very passionate about doing the right thing in business. But that doesn’t mean that those companies have acted responsibly. At least not as responsibly as many people think they should have, with one group encouraging Primark consumers to pay a voluntary T-shirt tax. I don’t imagine that Primark is specifically opposed to consumers doing that, but I don’t imagine they are enjoying protests at their stores either. Let’s take a bit of step back. The brands that are being given a hard time by the media haven’t (as far as we know) done anything illegal. They have sourced products at low prices, and many of us deliberately seek that kind of behaviour! I’m not without sympathy for the brands who got caught out by this particular factory disaster when it could have been many others (at least if things are as bad as they seem to be in the Bangladesh clothing industry). But equally there are brands that have taken remarkable steps to ensure that they are not caught in the middle of exactly this kind of story. CSR is really about one thing – connecting business to the consequences of its behaviour – good and bad. Whether you are talking about Creating Shared Value, Responsible Business, Corporate Citizenship, or Corporate Social Responsibility, they all more or less seek to understand how doing business is affecting society and the things outside business (like environment, planet, workers, etc…). Even businesses that are only interested in win/win aspects of CSR are trying to better understand the relationship between doing business and the effects of doing business. Because it involves all sorts of personal judgments, CSR is necessarily a question of moral dimensions, not just legal ones. And acting in accordance with the law doesn’t necessarily mean that one has acted morally. I was a lawyer for several years and my years as a corporate lawyer taught me a few things – the first of which was that the law isn’t always about justice, it’s just about the law. That’s a reality that very few people understand until they have received what is plainly unfair treatment, but for which they can’t get a legal remedy. Milton Freidman seemed quite comfortable that companies should do the minimum they could to comply with legislation – anything above and beyond would be an additional cost to business that it simply shouldn’t incur. So presumably merging his approach with my experience of law leads us to conclude that companies shouldn’t concern themselves with justice, merely minimum compliance with law. But that kind of behaviour just doesn’t work for me, or, I would argue, any of us. That kind of a spiral to the bottom would pull at the fabric of every society (pun not intended). In Bangladesh, the owner of the collapsed 8-story factory building has been arrested and charged. Rightly so, given that there are likely to be over 1,000 victims (380+ at last count with over 900 missing). There are reported allegations of breaches of not only working conditions at the factory, but also that two additional floors were added to the factory without approval. Several arrests have been made and prosecutions seem inevitable. It’s pretty clear that the conduct at the centre of the collapse is illegal. But it’s also likely that none of the brands have acted in any kind of illegal way. The illegal conduct is even further away from consumers – most of whom probably don’t care about the source of products, so long as they are fashionable and within their price range. But if we analyse who has benefitted from the conditions and lack of presumably costly safer working environments, it is primarily the factory owner, secondarily the brands and finally all consumers who have bought goods made in the factory and ones like it. It’s hard to not conclude that brands are benefitting from a level of human misery, even if they didn’t make that misery happen directly. And if it was something that the brands didn’t know about, then I might have a bit more sympathy. 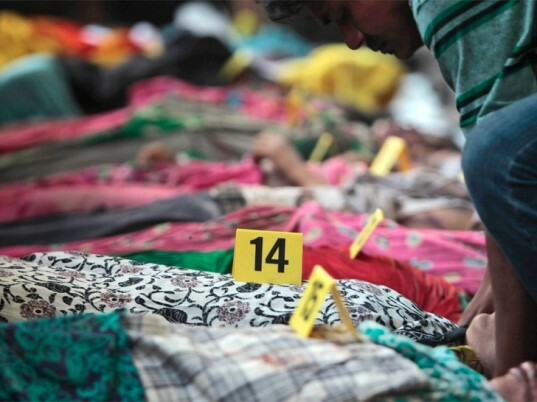 But it seems that all of those brands knew about the problems in Bangladesh, probably for a long time before the factory fire in the same city in November 2012 that killed 117 workers. A Huffington Post article details the rejection of a safety plan which would have fixed many of the problems identified as causes of that fire. There are some clear and systemic problems in Bangladesh which those brands would struggle to solve, but the CEO of H&M’s public campaign to raise the minimum wage in Bangladesh would seem to be an example of someone recognising that sometimes we all benefit if legal standards are raised. Some collaborative action by all (or the bulk of) the buyers is likely to be the most economically efficient solution, but collaborating in a way that may increase prices doesn’t seem to be everyone’s cup of tea. It also involves having some very difficult conversations with the Bangladesh Government who also bear a direct degree of responsibility for the conditions in Bangladesh. What I’d really like to see is an analysis of the likely increase in shop-floor pricing had the proposals been adopted, and the likelihood that the factory would not have collapsed had the factory been inspected and properly run. There is also another set of numbers which seems important – the net benefit to the Bangladesh economy of the companies that order lots of products from the Bangladesh garment industry, but that in itself isn’t conclusive. I’m guessing that the economy could benefit even more from an industry that doesn’t kill its workers (that number of deaths has to put on some positive cost pressure and massively demotivate surviving workers). I’d also guess that consumers would only be worse off by a few cents or pence per garment if some collaborative action was taken that raised standards in Bangladesh. It remains to be seen if consumers will punish the companies who were benefiting from the cost-cutting measures that led to the factory collapse; after all Primark, Mango and Matalan aren’t the fashion industry’s most expensive brands and at least some of their shoppers are only sensitive to price. But there does seem to be an increasing reluctance among some consumers to accept companies that don’t actively prevent illegality in their supply chains. I wonder if they would do more if we told them that we would only shop there if they collect our voluntary donations to improve conditions in Bangladesh (or anywhere that they operate). But the real question for Primark in the longer term is how does it ensure that it never again needs to make a commitment in such circumstances. I’m guessing that they are looking at this as a long term issue, and they could probably learn a lot from another UK-based clothing retailer, who set up a model factory in 2008 in Bangladesh. I should also disclose that I have at least two T-shirts that I bought from Primark, so I have also almost certainly benefitted from the illegal conduct at one or more Bangladesh clothing factories. I’m reviewing my own conduct and buying policies. Benefitting from low-cost labour (or indeed slavery) without regard to the consequences is probably something that I have done too much of, but I am trying to be a more responsible consumer, not just a legal one. If you want to take further action, you can take some supporting action in relation to the factory and industry generally. Avaaz also has what appears to be a well supported and sophisticated campaign on guilt-free clothing targetting several clothing brands. ← Slavery – What’s GRI got to do with it? Someone who was involved in audits in Bangladesh has been in touch to say that Mango had only sourced sample garments from the factory. In its official statement (https://www.facebook.com/mango.com/posts/10151599374150395) the company says that “it would have been impossible to detect the structural defects of the collapsed building, since MANGO would not have been able to ascertain that the owners of said had building had built three storeys more than is permitted”. I can’t bring myself to agree with their reasoning. Not only is it possible to ascertain exactly those things, it seems now to be imperative if they are to avoid being involved in such a tragedy. Interesting follow up which details progress, lack of progress and politics of MSIs.